~You guys know I love Korres. I just ran out of face wipes, and I decided to give these a try. They smell great! I have noticed they are a bit on the dry side though. my lips. I absolutely love it! 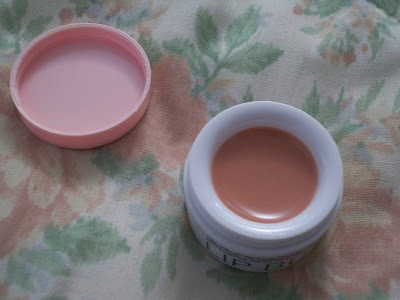 Aside from my MAC tendertone, this lip butter is really moisturizing and I just love how soft it makes my lips feel. The smell, like all of Korres products, is wonderful. from YouTube rave about it, and she convinced me to go out and at least test it on the back of my hand. I can't say enough positive things about this. The color is so creamy. And the pen-like packaging is perfect for application. It's a cross between a lip liner, with the creaminess of a lipstick, and the subtle shine of a gloss. The berry-red color makes my teeth look super white, always a plus ;) I will be wearing this on Christmas, New Years, and nights out for sure. 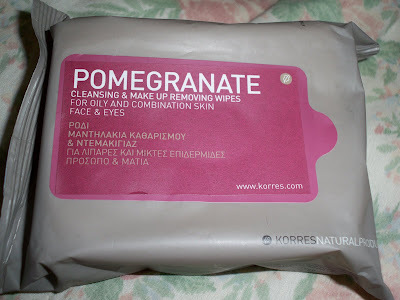 i adore the pomegranate wipes they are definitely a bit on the dry side though. 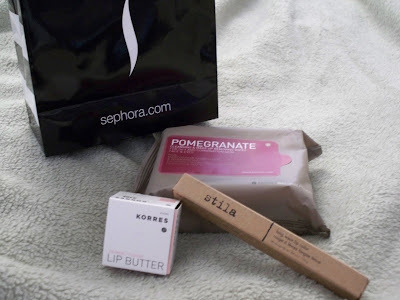 i want to try the pomegranate lip butter , have you tried it? I love the Korres lip butter too! You'll have to let us know about the face wipes cuz I've been eyeing those ones. Oh, I so want to try a Korres lip butter! Beautiful haul. 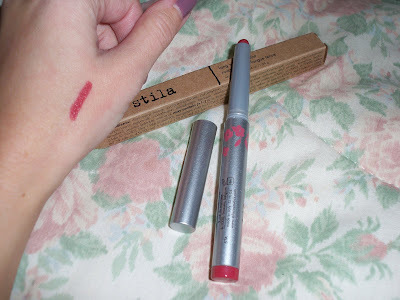 V nice haul..Stila products look so good but can't get my hands on them here :| N yea I'd heard a lot of pple rave about that lippie..pretty shade. I first heard about Korres lip butter on one of TiffanyD's YT videos. I think it's time I check this stuff out! P. S. I loooove the smell of pomegranate scented products! Those wipes are going on my wish list!